The F200 is our most popular platemeter, this entry level Digital Platemeter is simple to use and displays average height and KgDM/ha. The F200 comes with the PPlus PastureCovers software to record and display figures and grazing wedge data on your PC. 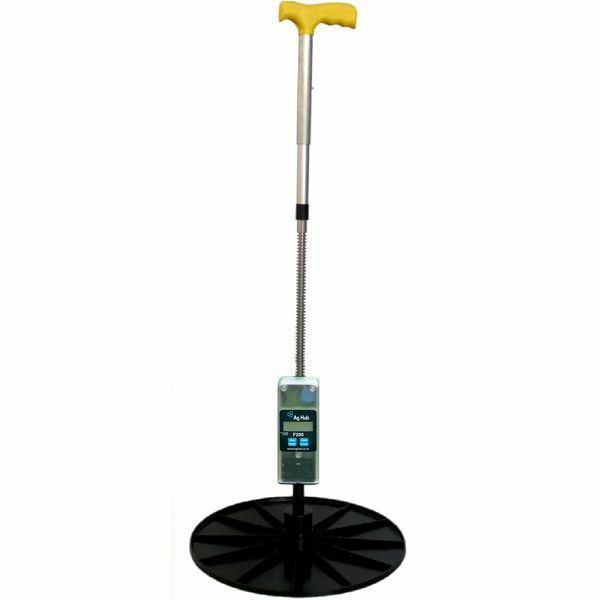 The F200 Platemeter uses an electronic digital counter unit to record the grass height and number of plonks. A formula (user adjustable) is used to display the Average grass yield in KgDM/ha. The figures are entered into the PPlus software to display the grazing wedge of the farm walk. The F200 is powered by a re-chargeable battery for ease of use and comes with a mains charger. Does the F200 store the readings? The F200 will display the last reading taken until the unit is reset ready for the next field to be measured. 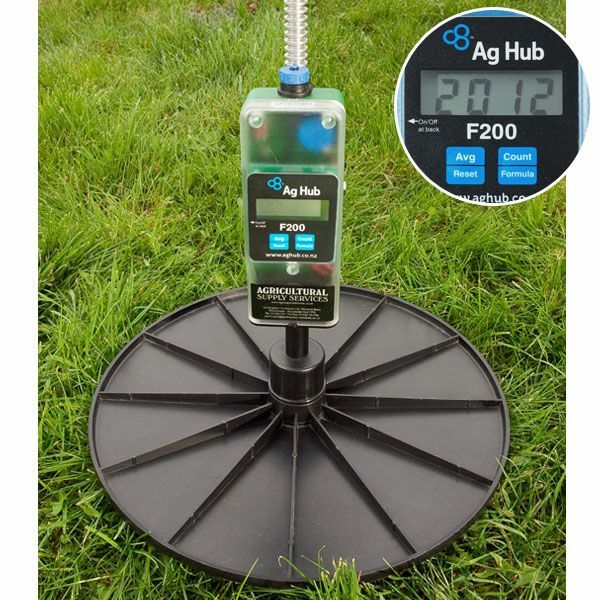 If you want to store the paddock readings for downloading to the PPlus software rather than having to write them down, then have a look at our F300, F400 or EC20 platemeters. Can I use the F200 With Agrinet? 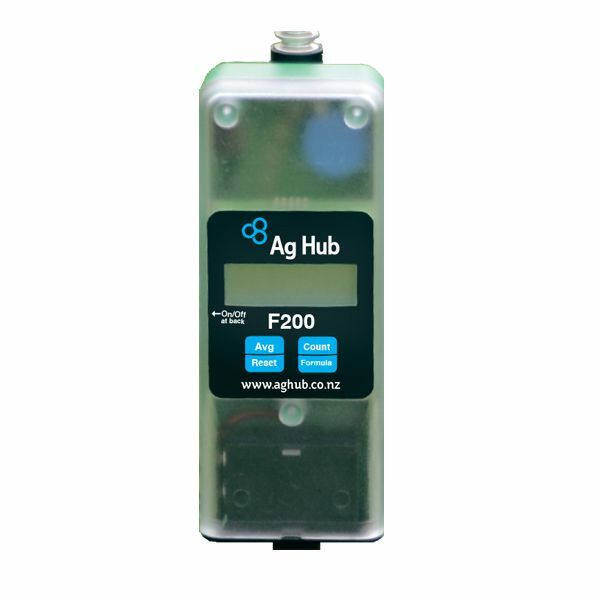 Yes, the figures from the F200 can be entered directly into Agrinet rather than using the PPlus software that comes with the Platemeter. I am a little confused by the different names appearing on the same Platemeters, please will you explain? The ‘F’ Range appeared early 2000s as ‘Farmworks’, bought out by Aghub, & most recently the new owners are GPSIT (since 2017). As the UK + EU importers from New Zealand, we are very pleased with the new owners, GPSIT, an agricultural technology company.